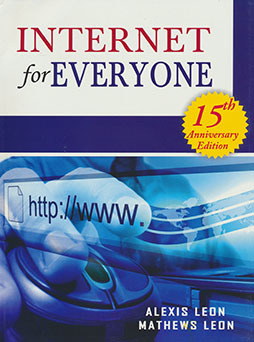 Internet for Everyone (15th Anniversary Edition introduces the basics of the Internet and World Wide Web (WWW). You will learn what Internet and WWW are and how to use them from your computer. The fundamentals of Internet and WWW, the important ideas and concepts like Internet addressing, communication protocols, web browsing, etc., are introduced in a simple and easy-to-understand fashion.